Ashwin was the pick of India's bowlers on the opening day. Ahead of the start of the five-Test series against England, Virat Kohli and India were faced with a question – whether to line up with two specialist spinners or to stick with a four-man pace attack which included all-rounder Hardik Pandya. In the end, Kohli opted to go with the latter as the overcast conditions and perhaps England’s own decision to go with a lone spinner in the form of Adil Rashid played on his mind. At the end of the first-day’s play at Edgbaston, the Indian skipper would have been left wondering if he had missed a trick by not going in with two spinners. It was not the four-man pace attack that got India the initial breakthrough on Wednesday. It was instead the off-spin of Ravichandran Ashwin that shattered Alastair Cook’s off-stump as early as the ninth over of England’s innings. In that ripper of a delivery, Ashwin had made it clear that there was joy to be had for the spinners. The drift, turn and guile all seemed to be working for him as Cook fell the off-spinner for the eighth time in his career. That was just the start for Ashwin. His delivery to trap Jos Buttler plumb in front of the wicket for a duck was further proof of the purchase available for spinners at Edgbaston. England’s vulnerability to spin came to the fore once again. By the time the day was winding down, Ashwin’s confidence was soaring as he brought out his ‘outswinger’ to dismiss Stuart Broad. Kohli and team India would have been mighty pleased with their day’s work after reducing England to 285-9. But in their minds, they would know that it could have been even better. 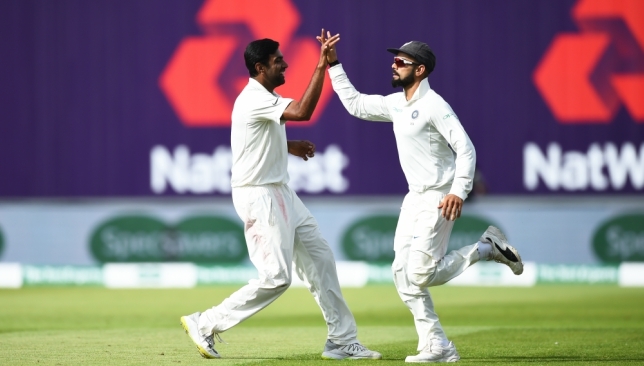 Had they played to their strengths and picked either Ravindra Jadeja or Kuldeep Yadav to go with Ashwin, the outcome of Wednesday could have been much different with the way England struggled against spin. Only Joe Root and Jonny Bairstow played Ashwin with any surety and even then the latter was lucky on a few occasions as the outside edge drifted just wide of the slip fielders. Instead, India were stuck with Pandya as their fifth bowling option and the all-rounder failed to create any major impact. The 10 overs Pandya bowled fetched England 46 runs as he relieved the pressure created by the other bowlers on multiple occasions. India could have done with either Kuldeep or Jadeja on Wednesday. His bowling display on Wednesday meant India were bowling very much with a four-man bowling attack. While it might still not be too big a price to pay for the visitors yet, they could rue going in with only one spinner by the time the second innings comes around. If the pitch continues to deteriorate under the influence of the ongoing heatwave, spinners could have an even greater role to play. England still have the luxury of turning to skipper Joe Root for some part-time off spinners if the situations so desires. India, unfortunately, will not have that option with none of their batsmen being part-time spinners. As Root showed in Yorkshire’s Roses clash against Lancashire recently, he can be an effective option when the conditions are just right. While it is too late for India now to change that aspect in the ongoing Test, they certainly now have some food for thought for the remaining four matches. England’s vulnerability against quality spinners remains based on Wednesday’s showing. Kohli and India could be better served by backing their strength for the rest of the series unless England put up a green minefield at the other four venues. 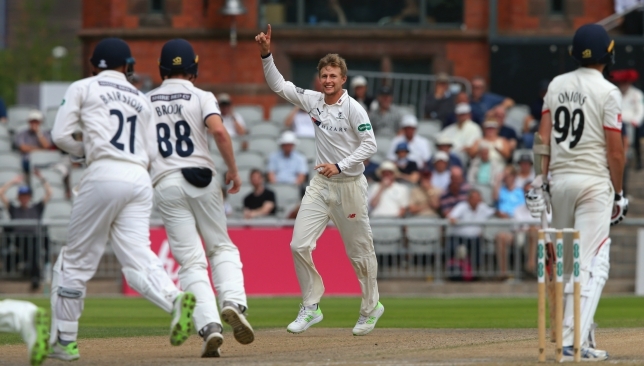 Joe Root picked up career-best figures of 4-5 in Yorkshire's win. The eagerly anticipated five-match Test series between England and India is now just days away. The visitors have been hit with injuries to key pacers ahead of the series but the current weather prevalent in England will have their spinners licking their lips in anticipation. The UK is experiencing its hottest summer in decades with an unprecedented heat wave which is expected to last till the end of August at least. That means that the unusually dry weather will coincide with a major chunk of the Test series that begins on August 1 before culminating in the second week of September. It has traditionally been pacers and seamers who have ruled the roost on the swinging green pitches of England in the summer but the spinners will be expected to play a much bigger role this time in keeping with the dry weather. It is in that aspect that India will feel bullish about their chances with their three-man spin contingent brimming with quality. The ever-dependable duo of Ravichandran Ashwin and Ravindra Jadeja bring with them a wealth of experience and top-notch quality and with the addition of Kuldeep Yadav, the spin contingent is bearing a fearsome look ahead of the five Tests. While Virat Kohli might have felt obliged to go with just one spinner in the bowling attack when planning ahead of the series months ago, the change in weather might now tempt him to opt for two. It is safe to say that the India skipper will not be short of options should he opt to go with two spinners in any of the Tests given the world-class three operators at his disposal. The same cannot be said of the hosts though, who are mulling over handing a Test recall to leg-spinner Adil Rashid after his displays in the recently concluded ODI series. Their options in that department are so thin that they might be forced to turn to a man who turned his back on red-ball cricket after signing a limited-overs only contract with Yorkshire earlier this year. Adil Rashid has not played Test cricket since December 2016. Their only other options in the spin department are Moeen Ali, Dominic Bess and Jack Leach. Moeen endured a dismal time with the ball in England’s 4-0 Ashes defeat to Australia before being subsequently dropped after another poor showing in the Test series against New Zealand. On the other hand, Bess showed plenty of potential in his Test debut against Pakistan recently but throwing the 21-year-old in the Test arena against India is full of risk and might not be the most sensible of decisions from the England management. Leach was on course to start the Test series against Pakistan after playing one match in the tour of New Zealand but a freak injury while batting in the nets spoiled plans as Bess was handed a debut instead. Given England’s woes in the spin department, Joe Root’s four-wicket burst in Yorkshire’s win over Lancashire in the Roses clash could not have come at a better time. The England Test skipper served a timely reminder of his off-spin prowess on Tuesday as he led Yorkshire to a 118-run victory with career-best figures of 4-5 in the second innings. Root’s 19 wickets in 69 Tests might be nothing to shout about but his part-time off-spin might just be the little extra edge England might need to combat India in the series. England’s lack of depth when it comes to spin means that the hosts will in all probability line up with just one specialist spinner in the series and as such, Root’s off-spin could prove to be highly valuable asset. 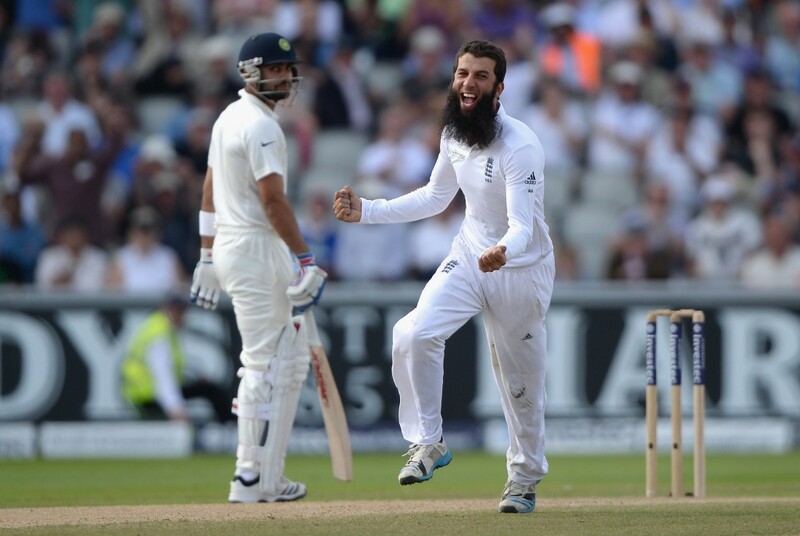 Moeen Ali had picked up 19 wickets in India’s tour of 2014. 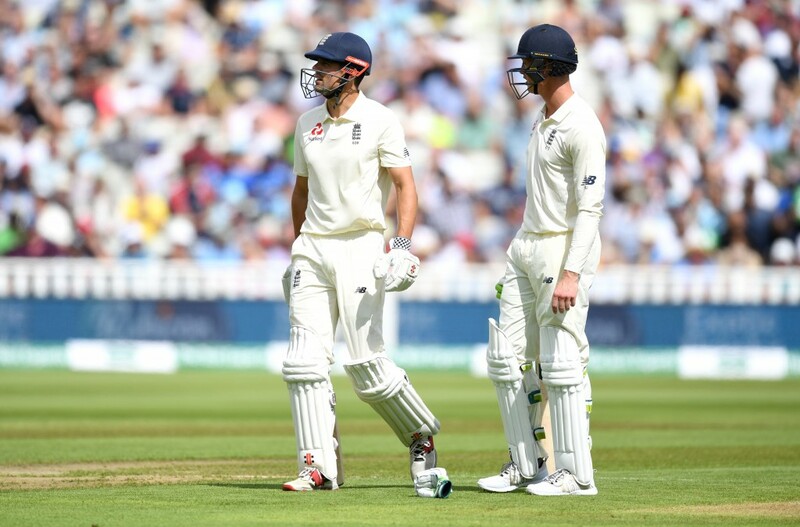 While three of his four wickets in the Roses clash might have been tailenders, Root did account for the dismissal of the well set Jos Buttler too. He might not have the variations at his disposal that the likes of Ashwin possess but as Moeen Ali showed in 2014, India’s batsmen do have a tendency to get carried away against the spinners. Moeen picked up 19 wickets in England’s 3-1 series win as India’s batsmen paid the price for trying to attack him at every opportunity. The England skipper will be expected to notch up the big knocks in the series after his relative failure to get a century in the tours of Australia and New Zealand but it is with the ball that Root could give England what they lack against India. Steyn went wicketless in the second Test against Sri Lanka. 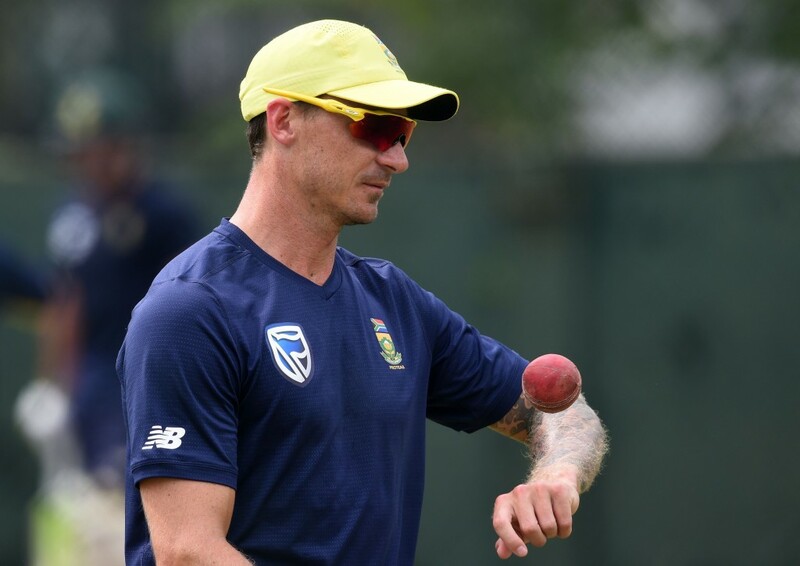 When the South Africa squad departed for their tour of Sri Lanka earlier this month, all eyes were on pacer Dale Steyn. The Proteas fast-bowling great was just three wickets shy of overhauling Shaun Pollock to become South Africa’s leading wicket-taker in Test cricket. It was also a chance for cricket fans to see the smiling assassin in action once again after his injury troubles over the past year or so. It all seemed to be going according to plan for the 35-year-old after he picked up a wicket in each innings in the first Test at Galle to draw level with Pollock’s tally of 421 wickets. The Colombo Test was meant to be the crowning moment for Steyn, toppling the record he has been eyeing since South Africa visited Australia towards the end of 2016. At the time, Steyn was sitting on 416 wickets and a three-Test series against the Aussies represented the perfect chance for him to take over the mantle from Pollock. Unfortunately, he fractured his shoulder in the first innings of the first Test at Perth, resulting in almost a year-long injury layoff. When he finally did make his long-awaited return in the first Test against India at the start of the year, it lasted just 17.3 overs before Steyn suffered a freak toe injury in the first innings. Steyn has been struggling with injuries since the end of 2016. Another lengthy spell on the sidelines beckoned, leaving everyone to wonder if Steyn would ever play Test cricket for South Africa again. But the fast-bowler’s grit and tenacity has not been in question ever since he made his debut as a 21-year-old in 2004 against England at Port Elizabeth. There was no doubt he would return, if only to break the record which had been eluding him. 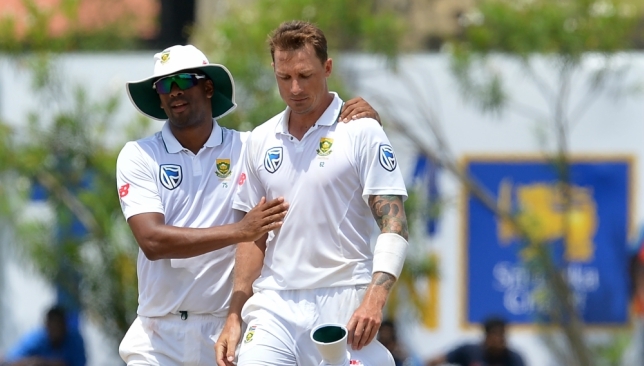 Yet for the first time in his 88-match career, Steyn went wicketless during the Colombo Test as Sri Lanka completed a 199-run win to capture the series 2-0. While overseas pacers struggling to replicate their form in subcontinent conditions is not a new trend, it was still an anomaly for Steyn. The South Africa man had picked up 92 wickets in 21 matches in the subcontinent at an outstanding average of 24.11 and a strike-rate of less than 43. His ability to generate lethal reverse swing has seen Steyn demolish batting line-ups on many occasions on his previous tours to South Asia. Breaking Pollock’s record will now have to wait till December when Pakistan come touring to South Africa for a three-Test series. At 35 years of age, there is no telling how much gas the Proteas pacer still has left in his tank. No longer is he the South African pace spearhead for that mantle has long been passed down to Kagiso Rabada who continues to lead the ICC Test rankings for bowlers. 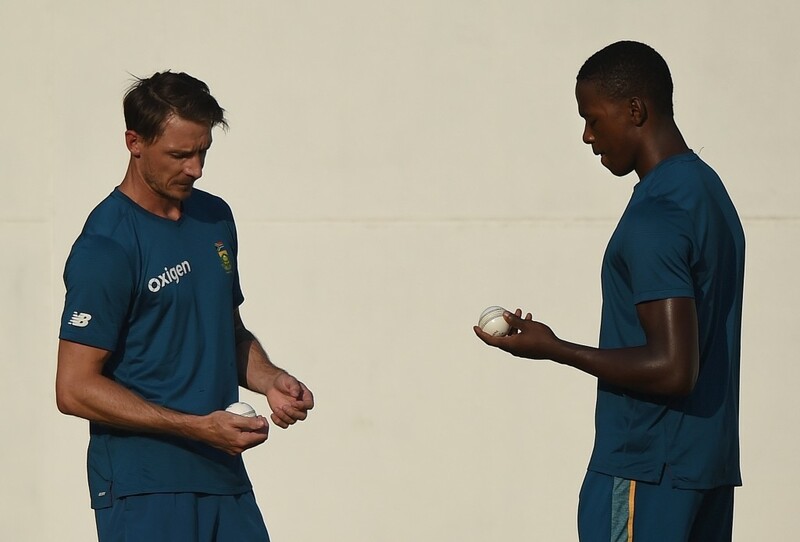 That Steyn was only able to pick up two wickets in the first Test when Rabada caused all sorts of mayhem with his seven-wicket haul was telling. Rabada has taken over the mantle of the pace spearhead from Steyn. The end seems nigh for Steyn in the five-day format. The sting and venom that have long been associated with his bowling were no longer visible in the two Tests against the Lankans. The manner in which tail-ender Rangana Herath effortlessly swatted the pacer for boundaries in the first innings at Colombo was a painful sight for fans who gave grown accustomed to Steyn ripping apart the very best. Even Steyn could only afford to let out a rueful smile as Herath dished out some punishment. The South Africa stalwart probably knows all too well that his swansong cannot be far off. It is unfortunate that injuries have robbed a vital chunk of the latter half of what has been a simply sublime career. To maintain an average of less than 23 and a strike-rate of 42 in after 88 Tests as a pacer is ridiculous to say the least. Not many will come close to those numbers in the future. Indeed it is no stretch to say Steyn has been arguably the greatest fast bowler to have played the game in the last few decades. His legacy shall forever remain intact. However, time and injuries are catching up with the bowler and a farewell Test could be on the cards sooner rather than later. Getting past Pollock’s tally will be a symbolic achievement, if anything, for Steyn, who is without a doubt the greatest pacer South Africa has ever produced.